If you can't wait for a hero, you must become one. 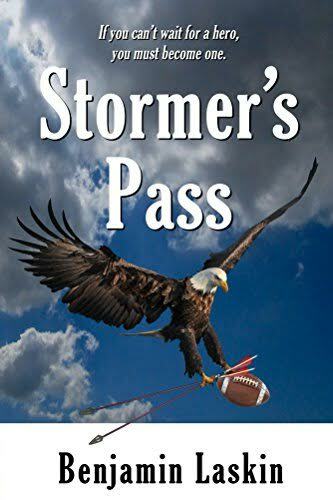 Star high school quarterback Max Stormer thinks he is one season away from his small town's first state championship, and then a strange girl saunters out of the surrounding hills, and punts all his plans. Max's friendship with Aidos puts him on a collision course with those who fear the life-changing effects the fascinating girl is having on him and his friends. With a championship, scholarships, many reputations, and the town's fate at stake, Max leads his team into a contest of wills that is far more dangerous than a football game. Whether maverick or hero, outlaw or savior, being a champion was never harder. Stormer's Pass is an enthralling adventure about two peoples' uncommon faith in each other, their friends, and in the magic of courage.